Innovation has been a central theme to Upper Deck products since the company's inception in 1988. 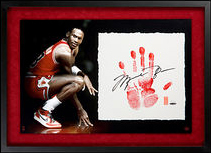 In 1992, Upper Deck expanded the company's focus on innovation to include fine autographed sports memorabilia. 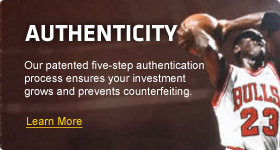 Furthermore, UDA backed its commitment to innovation with a focus on authenticity – the company’s patented 5-step authentication process guarantees fans are receiving genuine autographs. This 5-Step process, which ensures that every autograph is witnessed by an Upper Deck representative, has become synonymous with UDA over the last 20 years. As a result, UDA has become synonymous with integrity and authenticity. Per our 5-Step Process, UDA witnesses every signature in our collection. No other company takes the time and care to ensure this step in order to protect consumers from fraudulent autographs. UDA produces high-quality, innovative memorabilia that leads the industry into the future. Original concepts by UDA include PenCam, Breaking Through, Curve Displays and Tegata. Anyone can produce a simple 8x10 or autographed football, but only UDA can produce these patented, licensed products that make a collection truly unique. 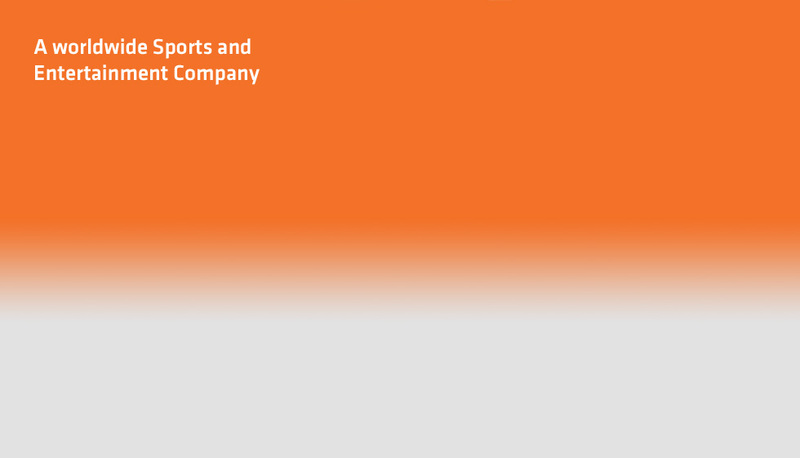 UDA’s brand ensures the long-term value of our items. There’s no comparison on historical values of UDA-witnessed signatures versus non-UDA authentication. A simple internet search shows that values of UDA signatures are 30% to 100% greater for legends like Michael Jordan, Mickey Mantle and Ted Williams. This peace of mind goes with every item we produce. Authorized Internet Retailers (AIRs) are trusted e-commerce websites that have a solid history of supporting Upper Deck Authenticated customers and products. AIRs are able to represent Upper Deck Authenticated and sell UDA products online because of their high-level of service and commitment to customer satisfaction. For more information on how to apply to be reviewed as a potential Authorized Internet Retailer, please contact Upper Deck Authenticated via e-mail at udadealers@upperdecknv.com. View our current Authorized Internet Retailers. Covering the top major sports and only the most coveted athletes, Upper Deck Authenticated offers "The World’s Greatest Memorabilia™."